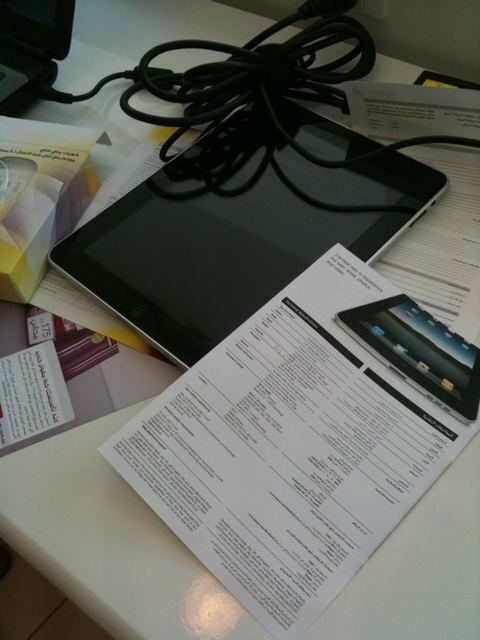 Home > Articles > STC selling the iPad, or are they? 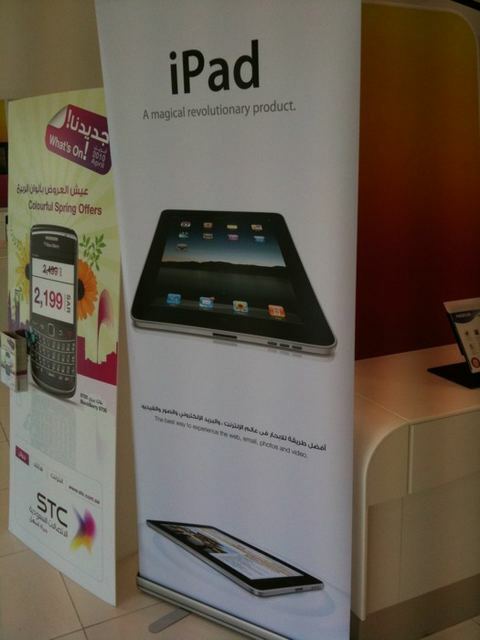 STC selling the iPad, or are they? SALE is a “closed Joint Stock Company founded to lead distribution services for Saudi Telecom Company (STC). Aiming to refine distribution of Al Jawal Services (Recharge, Electronic Recharge and SIM Cards) and gain from economies of scale, the consortium of Interkey, Zajoul, ATC (Salam), Vodatel, i2, Horizon Orbit, Nasco, Al Shaikh and Network Lines officially came to exist as a single entity”. SALE has announced last year a partnership with Arab Computers, Apple’s Authorized Distributor in Saudi Arabia, to sell Apple products such as MacBooks and iPods. That’s why some “STC Showrooms” sell Apple products. Here are photos from a SALE (STC) Showroom in Khobar. Photos taken on April 27th 2010. 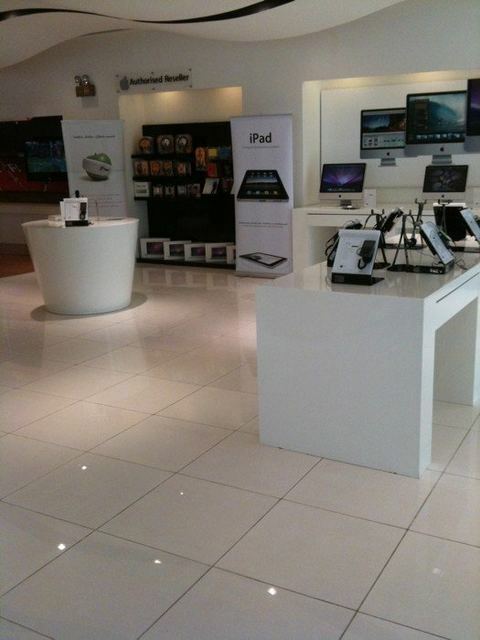 We notice in these photos the availability of the Apple iPad in the showroom. Remember it’s April 27th and Apple did not released the iPad worldwide. The iPad hasn’t been officially released in the region so is SALE dabbling in the gray market? What does Arab Computers, the Apple Authorized Distributor think of that? The following ad has been seen on Twitter and another similar ad was published in Saudi newspapers today. The ad carry the STC logo and name. â€¢ The iPad is only available in 3 branches (4 in the newer ad) and they are all SALE Showrooms. 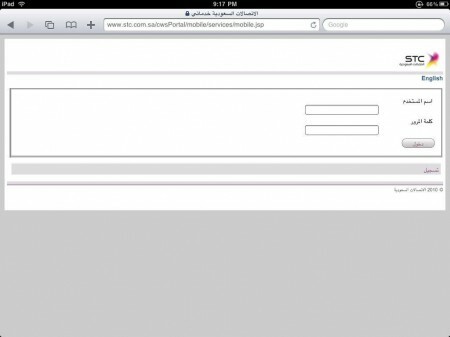 â€¢ The STC website screenshot had Flash displayed and we all know that the iPad does not support Flash. Well, all of us except the one who made the ad. 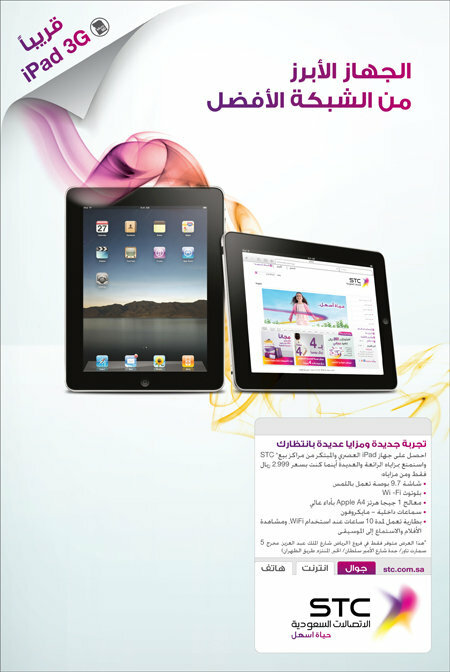 We conclude that this advertisement is from SALE-CO and there is nothing to prove that the Saudi Telecom Company is an authorized iPad distributor. If they were then the prices would be closer to the original price set by Apple. We are also surprised that a showroom that deals with Arab Computers is selling grey market Apple products (including iPhones as we heard). Sources: SALE-CO’s website – Photos by Dr. Saleh AlShebil – Ad Source on Twitter. When will STC respect our minds !! I got an Ipad 16G wifi as gift and I wanted to sell. It is brand new in box (sealed box). I need money. Is this wed site managed by Arab computers, shall we wait for I pad for one year until you get the stock, shall wait for I phone 4g for one year. Come on guys grow up, you keep fighting sale or other telling customers not to buy, I bought mine from Dubai at 5000 dirham it’s 64gb 3G , so stop this agaisnst what so called grey , it’s apple stock but American is selling with a premium since they are allowed to buy two. I very glad to find this site on bing, just what I was searching for : D also bookmarked .